"To resolve Desire's memory issue and enable the upgrade to Gingerbread, we will cut select apps from the release. Look for status updates starting next week. We apologize for any confusion." Later on, in its Twitter feed, the company answered to a follower that it is in the process of deciding which apps will make the cut and which won't, and those unavailable in the official update will be at your disposal in Android Market, if you want to bring them back on, after all. I had gingerbread on my desire about 6 months ago. Thats why its important to have an unlocked bootloader. @ bucky, Hey if you can share your knowledge of ROMs with other HTC Desire users it would be nice. Lancalot has a HTC Desire & if you can give him a heads up with some worthwhile ROMs he would be happy. 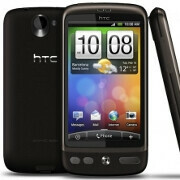 I have a HTC Evo 4G & the ROMs that work on my phone may or may not work on the HTC Desire. If you can give him some advice it would be very cool, that is if you have the time. I have been helping him out, but if you can give some advice since you have a HTC Desire it would probably be better. Thanks in advance!